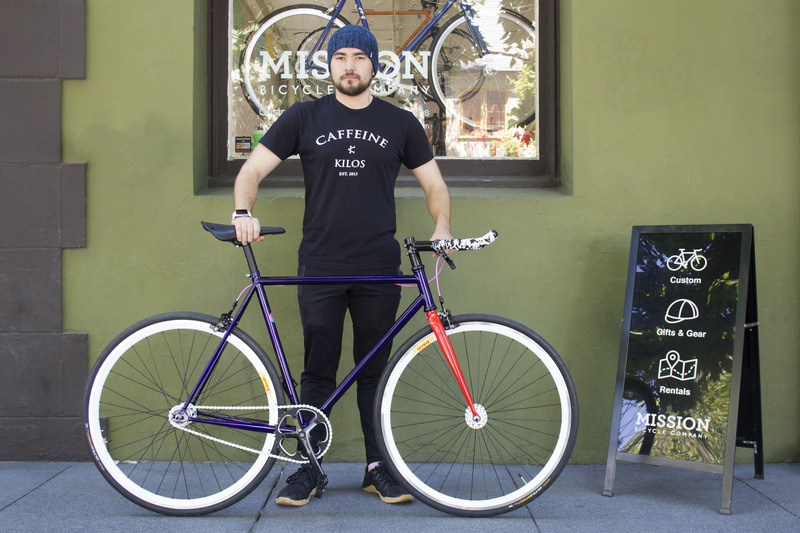 2018 brought about the first official San Francisco Design Week Bicycle, designed by Office and the team at Mission Bicycle. The bike was raffled off to one lucky winner during the final night of San Francisco Design Week at Mission Bicycle! Jason, a San Francisco designer originally born in Seoul, South Korea and raised in Nashville is the lucky winner of the bike. He studied Graphic Design at Memphis College of Art before moving to San Francisco 10 years ago to pursue a career in design. He currently works at DocuSign on the Customer Experience team as a Mobile User Experience designer, but occasionally likes to freelance on the side. Outside of design, Jason enjoys Olympic weightlifting—you might catch him competing at a local competition,—seeing live music/comedy, hiking, running and of course, biking around the city—give him a wave if you see him peddling around town! You can connect with Jason on Instagram and Dribbble. If you aren’t already familiar, Office is the design studio responsible for the vibrant 2018 SF Design Week visual theme, both in print and online. 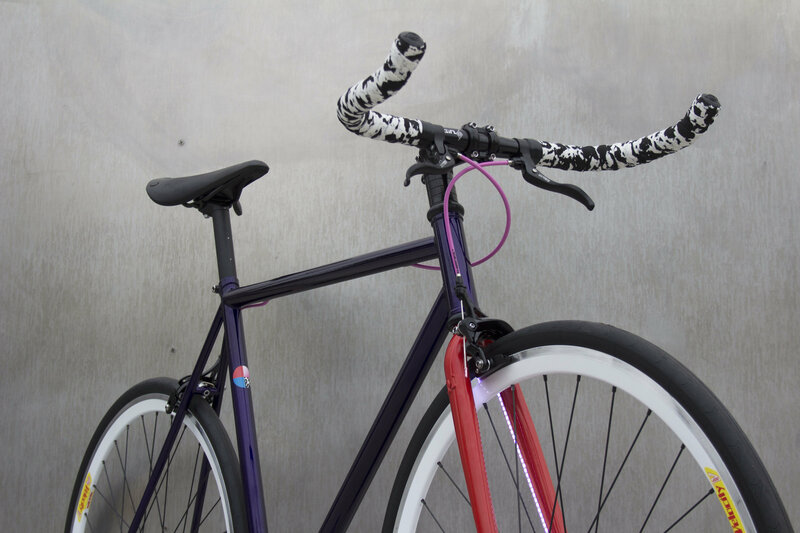 The bike is a deep iridescent purple with a lively collection of accent colors that correspond to this year’s theme. SFDW signature lighting is integrated into the frame, adding a visual dimension while also ensuring the rider’s visibility at night. Any designer worth their salt knows that design is in the details, and this bike has them, from the custom printed decals to the complimenting bubblegum-pink cable housing. A covetable Brooks C17 saddle (designed in San Francisco by Ideo) is the cherry on top, assuring you’ll ride comfortably no matter what the weather throws your way. Congratulations again to Jason for winning the official bicycle of San Francisco Design Week 2018! SF Design Week on June 22, 2018 . San Francisco Design Week® is a registered trademark of AIGA|SF. © 2017 AIGA|SF. All rights reserved.